Yes, We Have No Bananas performed by Louis Prima. Verdict: banana bread is an adequate medium in which to start building 3D models. I thought I’d take a crack at Autodesk’s 123D Catch software. Basically it allows you to take a bunch of photos of an object or space, upload them to the cloud, and get a 3D model in return. It works amazingly well. 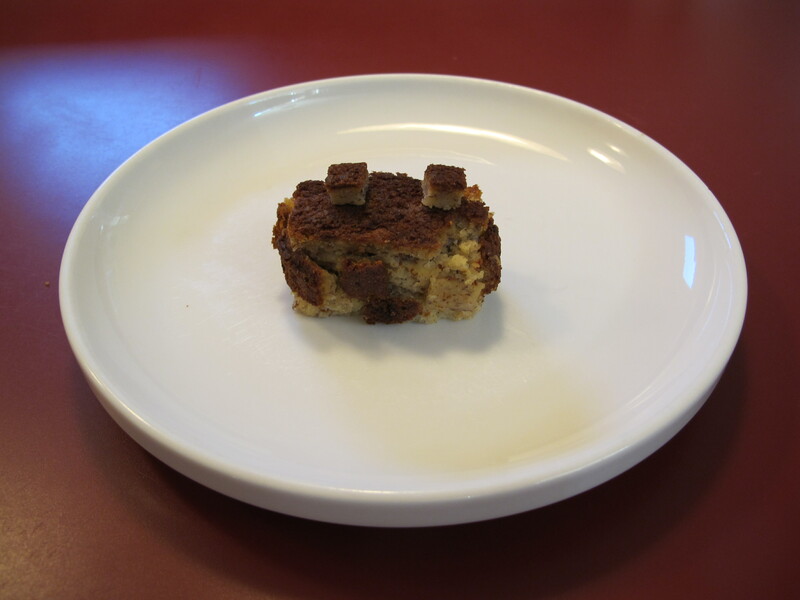 Before breakfast I sculpted a new Seej bloxen out of banana bread. I took about 20 photos without being too careful about the lighting, and uploaded them to Autodesk. Ten minutes later I had a tremendously detailed and largely unusable point cloud, and Autodesk had a bunch of photos of my kitchen. A little pushing and pulling of vertices in Maya, and I got a usable bloxen. Then I ate the original. The topology of the scan isn’t really suitable for editing except with lattices and poly sculpting tools. The mesh is too dense and there aren’t any clean edge loops that a modeler can build from. But! I can start with a loaf of banana bread and get a 3D model onto my Makerbot within an hour. That’s nothing short of revolutionary. Ere long we’ll be sending 3d models of still-damp newborns to grandma on Facebook. The interface to Autodesk’s web app is a little convoluted, and Autodesk hasn’t seen fit to make an OSX version yet. B+. 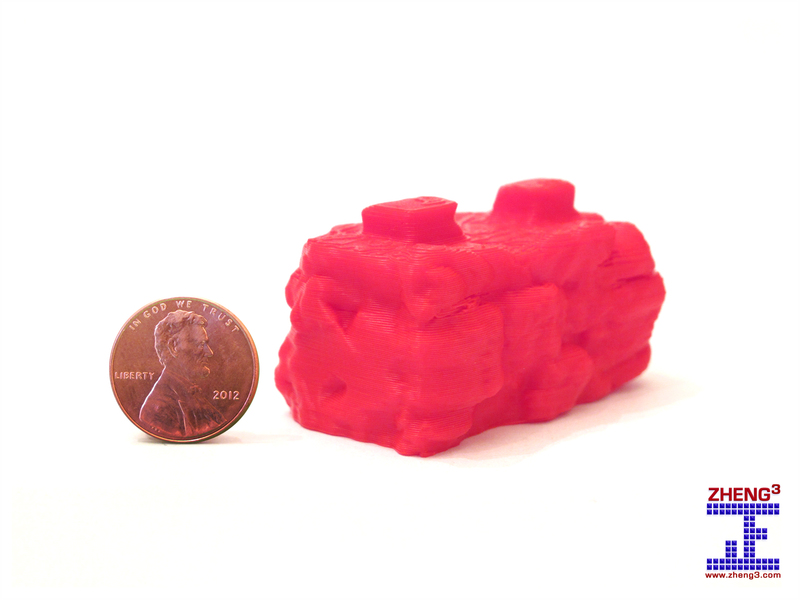 This entry was posted in 3D Printing, seej and tagged bloxen on June 21, 2012 by zheng3. Hey, this may be out of place but I couldn’t find any other means of contacting you. I love your blog and your 3D printing skills and was trying to subscribe to your RSS feed but it wasn’t working. Could you try and fix that so I can subscribe? Thanks! Sure, I’ll look into the RSS feed. In the meantime the best way to get a hold of me is to follow me on Twitter and send a Direct Message. Man, I died laughing reading this.